All Florida insurance providers are required to offer windstorm premium discounts to homeowners that have enhanced structural features in their homes; for example: hip roof, hurricane straps or clips and roof covering meeting the 2001 Florida building code. If your roof meets 2001 Florida Building Code (FBC) Compliance or 1994 South Florida Building Code get up to 45% discount of your wind insurance. Roof deck attachment method gets up to 5% discount. Roof-to-wall connection method gets up to 18% discount. Roof shape gets up to 23% discount. Opening protection system gets up to 5% discount. To qualify for wind mitigation discounts on your insurance premium, you must have a Wind Mitigation Inspection, also called a Wind Inspection. The Wind Inspection takes approximately 20- 30 minutes and consists of an attic and exterior inspection. 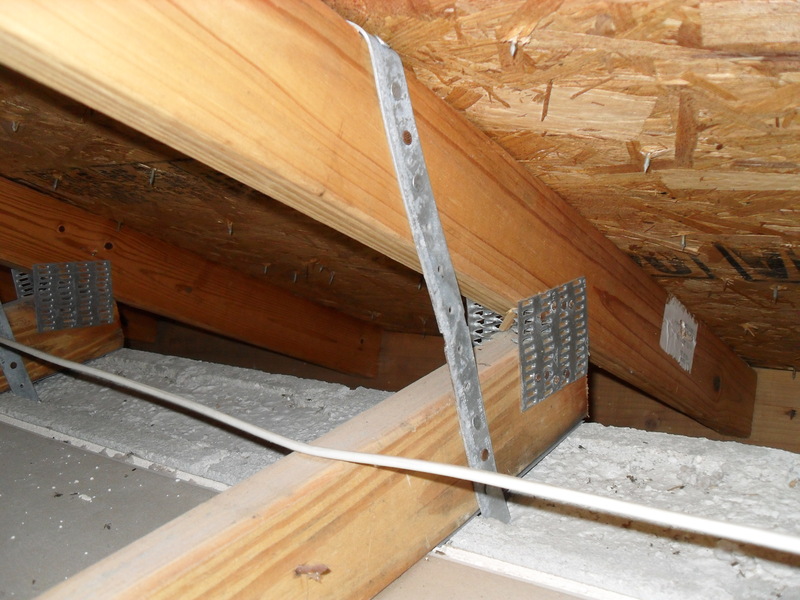 The attic inspection includes determining the deck (sheathing) type and thickness, type of deck-to-truss/rafter fastening system (8d nails, 6d nails, staples, etc. 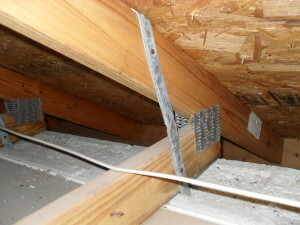 ), nail spacing for the deck attachment, type of roof-to-wall fastening system (example: clips or single wrap straps) and gable bracing. The exterior inspection mainly consists of a visual inspection to determine the roof geometry (example: hip or gable) and to determine the existence of window/door hurricane impact-rated protection (shutters). The inspection is recorded on the Office of Insurance Regulation (OIR-B1-1802 Form) form, also known as the Uniform Mitigation Verification Inspection Form. Upon completion, the inspector will review the wind inspection with you and give you a copy of the form/photos that you can submit to your insurance company to check for applicable discounts. Discounts can be applied for 5 years from the date of the original inspection. The process for securing a wind inspection is easy. Just contact Advanced Home Inspections at (863) 385-4095 or (863) 414-5399 and schedule your Wind Mitigation Inspection appointment. The cost for a wind inspection is $100. Payment due at time of inspection. 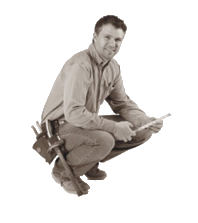 Make checks payable to: Advanced Home Inspections.